"We'll occasionally go for Mexican at Malo if we're with my friends who live even farther east. They're Silver Lake people, and you have to compromise with the Silver Lake people." Darn right you do. Thus completes my circle of fascination with All Things Gilmore, started here 13 months ago with the greatest Newbie celebrity sighting to date. "'When will tomatoes come so we can have that luscious, olivey tomato background?' 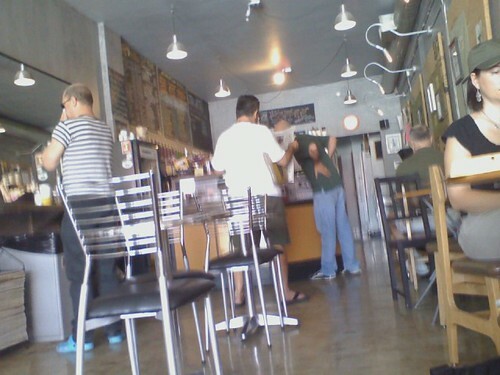 moans Corina Weibel of Canele in Atwater Village. She's dying to pair wedges of assorted heirloom tomatoes, seasoned simply with herbs and shallots and tossed with torn croutons, with crispy-skinned seared snapper, drizzled with a little olive oil and lemon juice." What/Where Are the 'Five Borroughs' of LA? THE BLOG OVER AT Silver Lake Gallery Alliance keeps using this phrase, the Five Borroughs. Never mind that "Borroughs" is usually spelled "Boroughs." And never mind that New York City established its own Five Boroughs in 1898. I'm just trying to figure out what/where in the world are the Five Borroughs/Boroughs of Los Angeles? For the first four - based on how artsy Silver Lakers tend to see the world - I guessed Silver Lake, Los Feliz, Echo Park and Atwater Village. The fifth slot goes, according to SLGA's MySpace page, to the "Upper North East." What the hell is that, Glendale? Montrose? San Fernando? Sylmar? I'm all about coming up with new ways to divide the city, but why exclude the rest of LA's art scene? And why the consistent misspelling? Ugh. 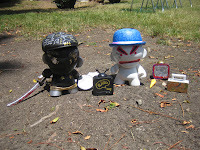 SLGA's blog is good for sporadic event postings. Might not be the place for neighborhood taxonomy. REMEMBER WHEN SUSHI and wine bars first became popular? When shops like Merle Norman Cosmetics and Faye's Intimate Apparel populated our small-town centers? It's not too late to return to those days. 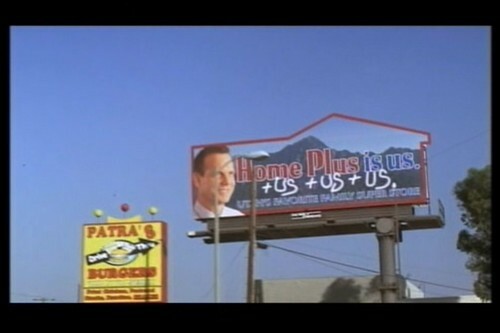 All you need to do is drive 10 miles northeast of Los Angeles. And never mind the De Lorean. Montrose claims to be an unincorporated area in of Los Angeles County, between Glendale and La Canada Flintridge. But really Montrose is somewhere between Bush 41 and Bush 43. Between Spaghetti Factory and Cheesecake Factory. For the most peaceful transition from 2007 California to 1995 Colorado, take Chevy Chase Drive north through the winding hills of Glendale. Turn left at Descanso Drive, passing Descanso Gardens. Take a moment. Ask yourself, what the hell is this Descanso Gardens place? Why haven't I heard of this? Then continue, left on Verdugo Blvd., under the 2, and a few more blocks into a recent past only imagined by "Old School" and "CHiPs" location scouts. Breathe deep. Try the sushi place. This could catch on! Or just play it safe at Rocky Cola Cafe. Ah, just like that blue-highway vacation in junior high. Only not as bad as you remember. "There's a new doggie boutique and it's on Glendale Blvd. in Atwater Village, which leads me to believe that, at last, gentrification is on the move. The little store sells organic doggie treats, doggie clothes, leashes and such, is decorated with portraits of dogs in clothes and is really just the darn cutest little store ever seen." This might be the same store that once did tricks in Burbank. 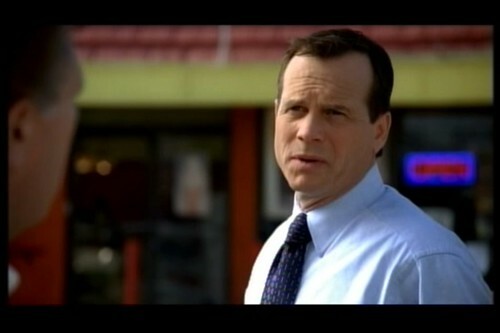 The shop's Web site says, "reopened in Atwater Village." I MADE UP THIS WORD. But you can use it. Feel free. With any luck, all future Google searches will point back here anyway. "My evil boss must go home every night and study his dictatutorial." WHEN THEY SPEAK SPANISH, I'm pretty sure it's not for me. But when I hear English, I pause the CD player they provide and listen. I listen good. Unfortunately I'll never be able to hear Nick Drake the same again. Kaldi, originally uploaded by seanbonner. "There's free wifi, comfy seating, and the staff gets the top rating so far in my book. I've been here off and on for months, but only regularly the past week, and they already know my order before I get to the counter - and actually care about making a good cup of coffee. "Think Kings Road vs Starbucks. Which is amusing because there's a brand new Starbucks that just opened up a block or so away and when I passed it this morning it was empty." If Kaldi evolves to include #2 and #3, the block is theirs for the keeping. "In Atwater Village, Canele can feel a lot like an ongoing dinner party that just happens to tolerate strangers at its tables.... The chef/owner is Corina Weibel, a Nancy Silverton protegee who also cooked for a while at Lucques, and she works the farmers-market-driven urban rustic side of new Los Angeles cooking... This is cooking worthy of the good china." "The most coveted seats at Canele in Atwater Village are at the large communal table in the front window. New parents are showing off their baby to an aunt or two at one end of the table, while a couple on a date is seated at the other end. The food comes - shrimp and avocado salad sparked with lime, cilantro and chile, dandelion salad in a piquant vinaigrette, herb-roasted rack of lamb, a simple omelet - any one of which may inspire someone at the table to order more of the same." Mrs. Newbie and I finally tried Canele last weekend - just drinks and dessert - and we must disagree with one point. The best table is the really bar, overlooking Canele's petite open kitchen. Ask for it. Watch how Corina and staff whisper their way through a plating emergency. Or an undercooked lamb. Or customers who irrationally refuse the restaurant's namesake, a two-bite caramelized confection, on their way out the door. For a drama-infused reality-show city like LA, that's essential. DRIVING HOME FROM THE BEACH this weekend I was mildly relieved to notice what seemed to be a price drop - or at least a price plateau - at gas stations around Southern California. 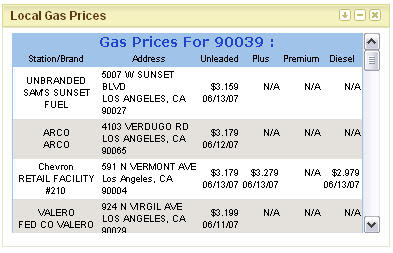 I filled up at $3.26 in Orange County, and I saw $3.19 and $3.09 along I-5 in east LA. Then I got home to Atwater Village. The petrol purveyor at the bottom of Hyperion Bridge posted a preposterous $3.59. This morning LosAngelesGasPrices confirms this 76 station (pictured above, in the under-$3 salad days) has the second highest prices in LA. In fact, both stations at Glendale and Glenfeliz are 40 cents pricier than their neighborhood cousins a mile away on Los Feliz Blvd. What gives? 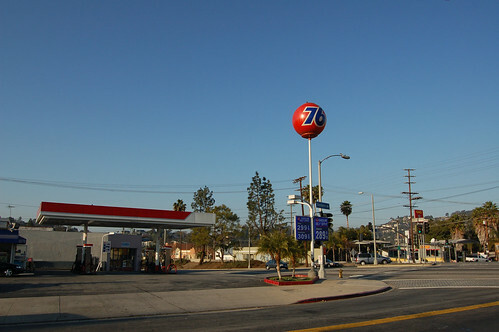 Is delivering gas to the 76 in Atwater Village suddenly as costly as delivering special sauce to McDonald's in Times Square? By the way, the Shell on the PCH in Malibu: $3.45. 2. A set of markers. A nice set, of course. Maybe Crayolas. Continuing to cure LA's 20th-century transportation hangover with the most robust 19th-century treatments, The Transit Coalition offers this fancy hand drawing of 11 possible train lines. These new or improved lines, given an ideal political climate obtainable only through a Stargate, would be complete by 2026. Sure, the map has been posted more than a year. But I still admire its judicious use of graph paper, its willingness to ignore the pillars still marking the Red Car right-of-way across the LA River, and its ability to get me from Atwater Village to Glendale Galleria in only two stops. 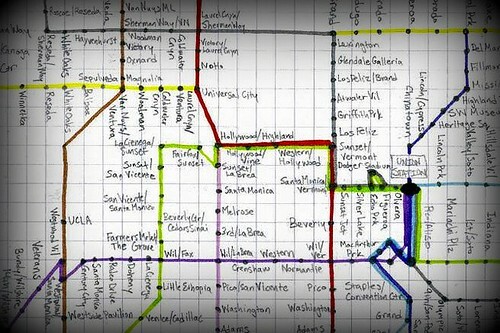 Long live the imaginary LA grid. Who Has Gas in the Neighborhood? LAST SEPTEMBER, EAGLE-EYED blog Citizenrobot noted a new billboard along San Fernando Road in northeast Los Angeles. 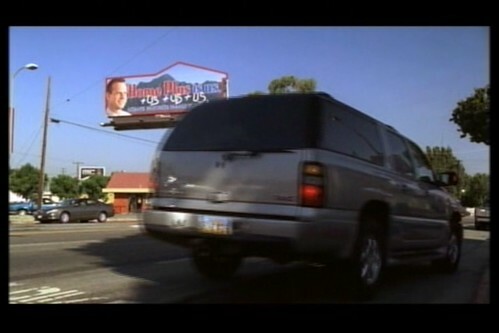 The scenes shot last fall appeared in previews for next week's episode of Big Love: "Home Plus billboards have been defaced, leading Bill and Don to scramble for repairs and a rethinking of Bill's public face on Home Plus." That's right. It's not TV. It's LA. Thanks so much for the positive feedback. I'm still feeling the glow from my award. And after spending a day in the sun at the street festival I can tell you the glow might be coming from my very pink skin. How appropriate that the name of cookie is the Pink Lady? For those of you curious about the taste of the cookie it looks like Luis could tell you how yummy it is. But for further detail I'll tell you about my recipe. 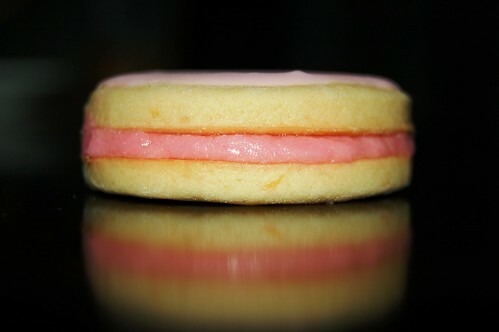 The cookie is a Ruby Red grapefruit cookie sandwich with Ruby Red grapefruit cream filling. 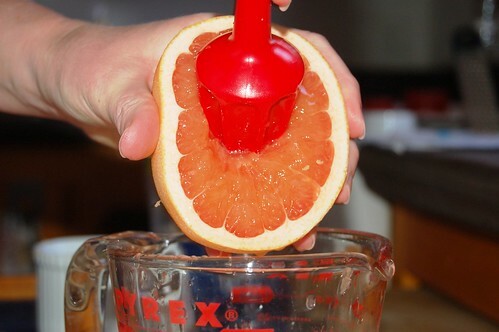 The juice is freshly squeezed and I let the dough marinate in the juices for a few days so that its saturated with grapefruit goodness. It's very sweet and not too tart. It's my own adapted recipe that I've been working on for a while. Now if I could just convince Mr. Newbie to buy me a Pro-Line KitchenAid I could make batches for everyone in Atwater. Episode 2: "Sounds of Atwater Village." Aaron & Paula give listeners a taste of what goes on outside their windows on a daily basis and, folks, it ain't always pretty. Featured music: Rooftop Suicide Club, Timothy Monger, Paula Kelley. Background Music: "The Drunken Organ-Grinder" by Paula Kelley. STARBUCKS AIN'T THE NEW KID on the block any more. Two new Glendale Boulevard retailers sampled their wares yesterday at the Atwater Village Street Festival. Woof, a dog clothing and food boutique, opened its new storefront and staffed a tent outside. 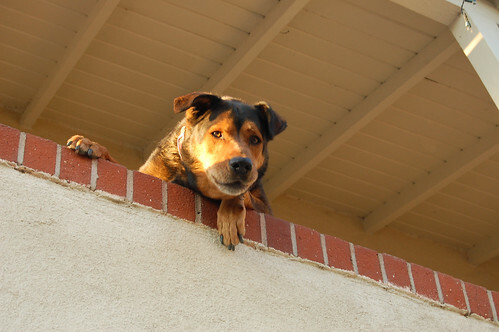 Is this a new location for the Woof in beautiful downtown Burbank? Crispy Crust, an offshoot of the Hollywood pizza joint, is still a week from opening but handed out free slices, hot from the oven, all day long. And dance/fitness studio Heartbeat House provided its own hotness, pictured above, with a performance that threatened to upstage nearly everything but the cookie contest. DIFFERENT STYLE, SAME ENDING: The Sopranos, The Gilmore Girls. Five more: Nikki Finke couldn't be denser. 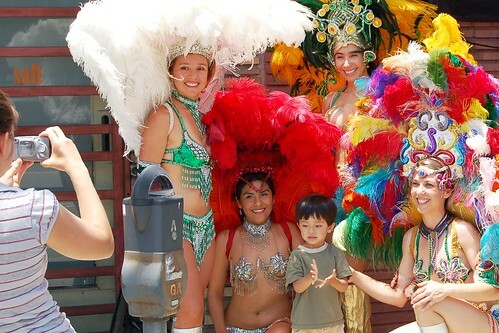 WE SAW STIFF COMPETITION today at the Atwater Village Street Festival, and not just from puppies and showgirls. A delectable table offered dozens of baked goodies to the undisclosed judges of the Homemade Cookie Contest. Of the four prizes - best classic, best taste, best decorated and best youth (under 14) entry - the Pink Lady, baked by my very own Mrs. Newbie, won two! Thanks for voting for my cookie, the Pink Lady. You made my day, my week, my month and maybe my year by voting for my cookie as best tasting and best decorated. It's my solemn pledge to you that I will serve with pride as one of the Atwater Village cookie winners. I promise to make lots of delicious Pink Ladies for all deserving people throughout the year. I promise to represent Atwater Village as a wonderful place to live and eat cookies. 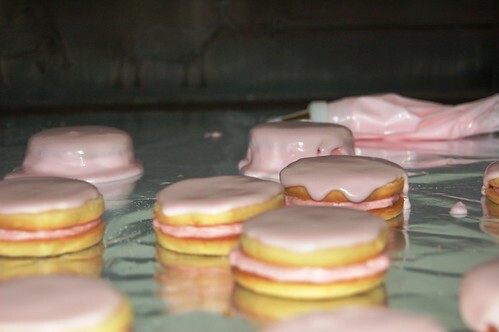 I will respect my neighbors, postman, and garbage collector by giving them the Pink Lady cookie during the holidays. And I pledge to pray for all the poor souls in Los Angeles who don’t live in such a cool neighborhood and who don’t have cookie contests to enter. There are a few people I really need to thank for my cookie conquest. First and foremost, the judges. You have very good taste. Second, to all the other participants of the cookie contest. Your cookies really gave me a run for my money and had me sweating. As I put my cookies on the table I have to admit that I felt defeated looking at everyone’s delicacies. Amazing! And last but not least, Mr. Newbie. His complete devotion to me and my cookies has never wavered. He is my biggest fan and my biggest critic and is always willing to eat 'one more' for the sake of helping me refine my skills. Without Mr. Newbie there would be no Pink Lady. 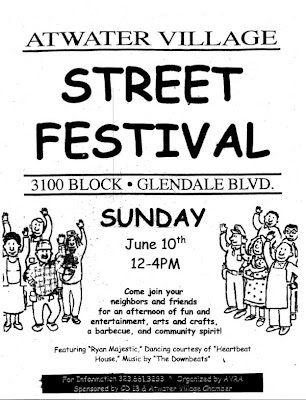 UPDATE: See 19 more photos from today's neighborhood street fest. 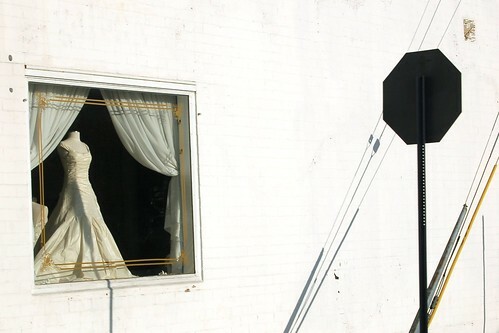 UPDATE TO THE UPDATE: Curbed LA links to Mrs. Newbie's win. UPDATE TO THE OTHER UPDATES: Tastespotting and LAist add links too. 3100 Block of Glendale Blvd. "Logline: When a young jogger falls asleep, and begins dreaming about jogging around her Atwater Village Neighborhood at night in her Adidas Tennis Shoes." FAIR WARNING TO ANYONE thinking of entering this Sunday's homemade cookie contest at the Atwater Village Street Festival. I have been witness to early testing of Mrs. Newbie's top-secret recipe. And I can tell you from personal experience that the final results - already being prepped in an undisclosed kitchen somewhere south of Los Feliz Blvd. - will be even prettier, tastier and more formidable an opponent than what you see here. May the best cookie win. UPDATE: LAist posts about these four delicious words. Some major cities in the US - among them New York, Miami and San Francisco - are already enjoying 360-degree pedestrian-level visual searches thanks to Google Maps Street View. And residents of other cities - including the recently-added San Diego - can plan their public transportation needs using Google Transit. But the new trick for Los Angeles? 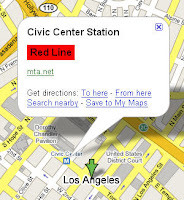 Now on Google Maps those little train station icons are clickable. THIS IS WHAT THEY CALL, in Los Angeles anyway, a starter home. It's a 2-bedroom, 1-bathroom in Frogtown, also known as Elysian Valley, also known by real-estate agents as "adjacent" to Atwater Village and Silver Lake. This home at 2831 Denby Ave., listed at $580,000, has "excellent bones" and some wildly inappropriate Michael Buble-ish soundtrack on its four-minute slide show. Enjoy. Oct. 10, 2006 - "Say it with us: Eastside means east of the LA River." 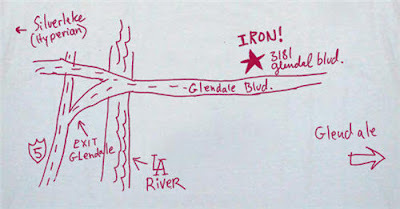 June 4, 2007 - "Just for the record, the LA River is the dividing line, and no, it's not a fluid border." Um, the river isn't fluid, you say? Blame New Angeles, with its mission to "celebrate the intellectual and cultural renaissance of LA's Eastside." The new monthly mag is reigniting the arrogance of Angelenos who have been bestowed with Proper Perspective by virtue of living here a few more months. 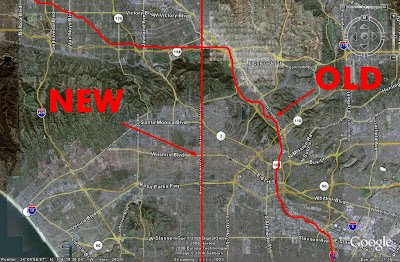 The debate rages from Curbed LA to Metroblogging LA. It seems to this east-side newbie that the river has outlived its usefulness as city divider. How different, really, are Los Feliz and Atwater Village? Elysian Valley and Glassell Park? And in the San Fernando Valley do you assign North Hollywood and Van Nuys to the east side of LA? Makes no sense. If we must live in a binary metropolis, how about we cut along Western Avenue? It's straight, long and has the word "west" in it. Easy enough? Besides, if we really wanted history and precedence to settle this, we'd ask the Tongva.